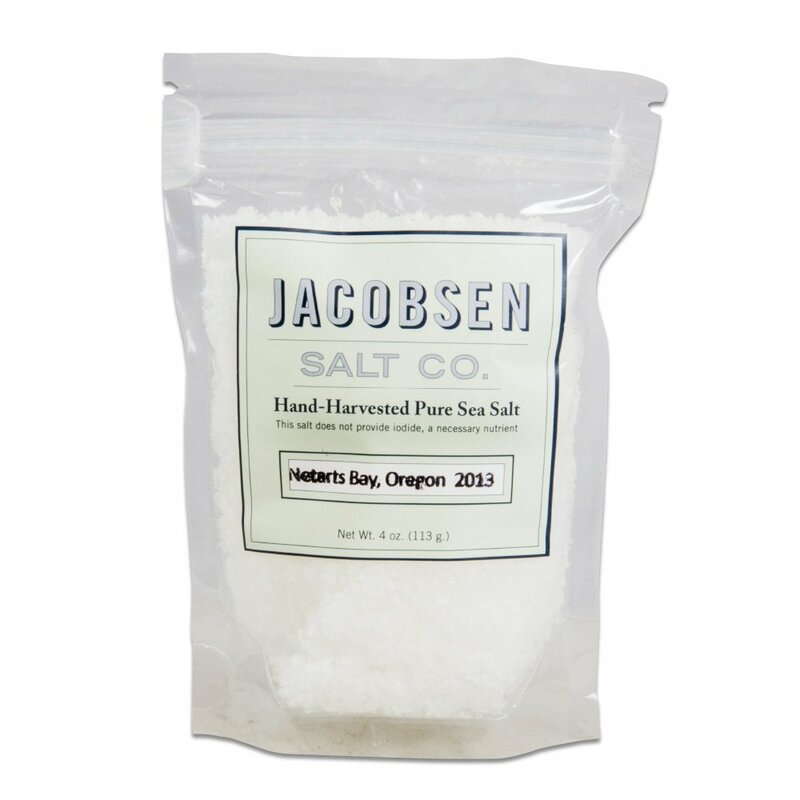 An endorsement: Jacobsen Flake Sea Salt. For seasoning food once it's on the table, I prefer flake salt, usually Le Saunier de Camargue Fleur de Sel. Flake salt, unlike really fine grained table salt or even ground up Kosher salt, doesn't dissolve immediately. The flakes add a nice bit of crunch to a dish, too, and many dishes can use that textural variety. Jacobsen just tastes good. Also, the asymmetrical flakes are gorgeous, like giant snow flake crystals.